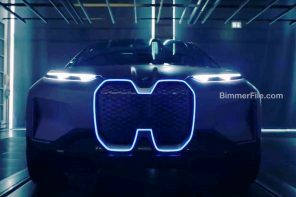 Over the last several weeks we have been hearing interesting news in terms of what BMW is thinking about the future and future models. We all know that over20 new models will be coming to market within the next few years but in which direction is the company moving? Most enthusiasts are concerned about the overall increases in size and weight of BMWs in general. We have heard from several (reliable) sources this is not necessarily the direction of the future. 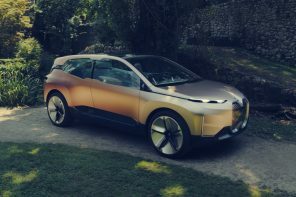 With the possibility of new legislation being passed throughout the world to help combat pollution BMW has been investing in Efficient Dynamics to decrease emissions and make cars lighter. We have seen the first stage of the this program with stage 2 to be released shortly to the buying public in the form of hybrids. That is not the end of the program; the team at Project-i is mandated to defy conventional thinking. And with the Vision Concept (the Z2) they will do just that in Frankfurt this September. The Z2 is not expected to hit dealers until 2013. The Z2 is being designed on the next generation 1 Series platform which we have learned will be extremely flexible; allowing for front, rear and all wheel drive systems. What this means is that development cost for future models across the brands will be decreased due to economies of scale and that BMW will not have to co-develop platforms with other manufacturers (bye-Fiat). BMWs will remain rear/all wheel drive, MINI will remain front and soon become all wheel as well. The Z2 will weigh in at UNDER 1,000 kg (2200 lbs) and feature a variety of power supplies, from the 1.6L MINI engines (including JCW), to a new 2.0l twin turbo unit putting out around 250 hp. Environmental friendly hybrid, plug in hybrid and diesel will be offered. 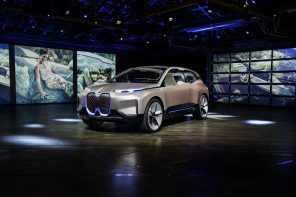 BMW going along with its naming convention of using “Drive ” will call the drive system in the cars with electric “eDrive “; to add to sDrive, xDrive, and iDrive. A new transmission will also be a feature of this model and possible future MINI variants which is derived from the BMW Motorrad division. Anticipated cost is around $30,000 and the base model will reach mid 50s in the mpg area. To keep the weight down, composites and light weight materials will be used in key areas such as the engine, drive train and in the body shell. Additionally there will be a manually operated top which will allow the roof to fold flat and not require motors etc. to help keep costs and weight down. There will initiallybe a convertible and later a coupe version will be offered. There are no plans at this time for the ///M division to create a version of these cars but a high probability of a Super Sports edition. In traditional BMW fashion, handling and performance will be key to the Z2, not just efficiency. As in the GINA concept, the Z2 will feature Active Aerodynamics- this will allow the car to increase efficiency or sportiness based on the driving style. The front spoiler and intake slats will adjust to make the car more efficient or to provide additional down force. The Z2 will usher in new technologies such as LED lighting and external black panels- all you initially will see is the large driving lamps then the when activated the LEDs will come to life with the black panels to create a version of the standard BMW double headlamps. While this is still somewhat speculation we have heard this same information from several extremely reliable sources in just the past week so we thought we would keep you informed as to what we are hearing. Either way this will be ground breaking. I cannot read all the way to the end of the article, ’cause I have to run out to the dealer and put down my deposit for 2013… I’m not sure I’ll be ready to part with my R52 by then… but this might convince me. If this car is anywhere near 2200lb, sign me up. Hell, make it less than 3000lb and I’m there. This is in all likelihood my next car. I’ll hold on to the MINI until 2014, by then a coupe/super sports edition of the Z2 should be available, and the MINI should be about ready to be retired from it’s soldierly double duty as an everyday car (when the weather is good) and track toy. Perfect! Love this news from top to bottom. BMW considering ending its non-stop in weight and girth is a great thing. Love where this car is going so far. Just hope that the M division is able to lay their hands on this car afterall. I would likely setting for a Super Sport coupe but would love a little Z2 M coupe more than I can say. I couldn’t fit comfortably in a (current gen) Z4 being 6’2″… doubt I’ll fit in this either… but I do fit in the MINI just fine… as do people much taller. This is great…Turbocharged 2.0s and LED lighting. BMW is becoming what Audi/VW is now. I always like the z3 better than the z4. This would be even better than the z3. I really hope this makes it to production. The concept is really good. I like the way they keep cost and weight down by not bothering with electronic roof. I will by this car within a year it comes to sale. Woot ! The car rocks ! It’s like a leopard !